One of the best parts of our job is meeting with new brides. 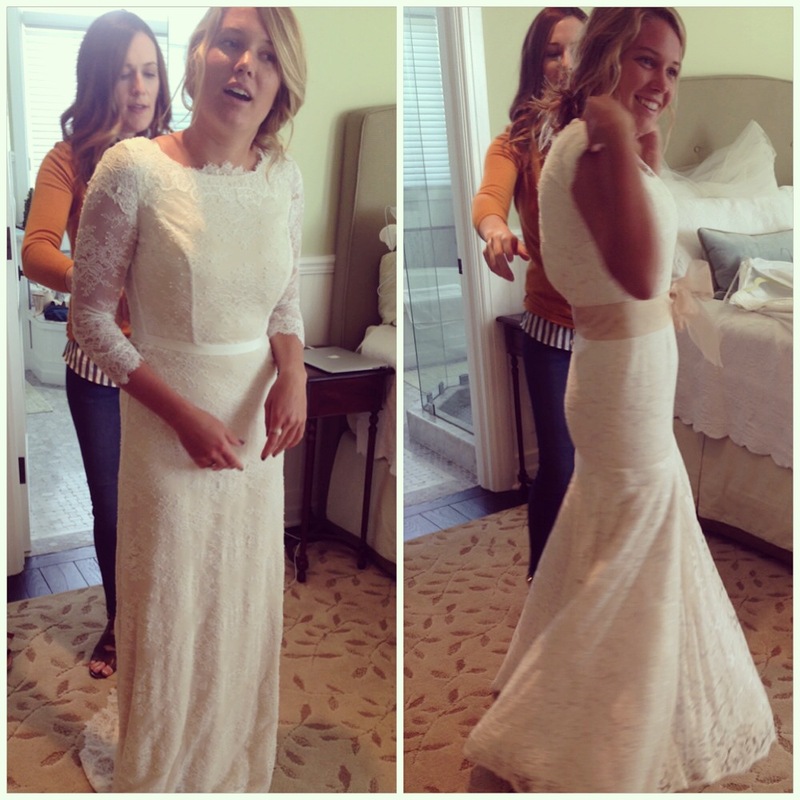 We love getting to know them and hearing their love stories; we especially love seeing them try on our gowns! Our latest bride Bree met her fiance while attending school at BYU Hawaii in O’ahu. She looked gorgeous in each dress from our 2014 collection. Bree is wearing our Florence gown on the left and our Austen gown on the right.